Author Joe Nassise, a regular at the Genreality blog was here Tuesday to discuss his varied projects including his Hellstalker series, the most recent Rogue Angel novel and forthcoming urban fantasy series The Hunt Chronicles. A copy of his Rogue Angel: The Spirit Banner is up for grabs in the giveaway (closes March 1). Yesterday, paranormal romance author Susan Blexrud did a guest post called Don't Postpone Joy about beloved books. Susan is giving away two free downloads of her first vampire series novella Love Fang. Giveaway closes Monday night. The giveaway for a signed copy of Legend of the White Wolf by Terry Spear in her interview ends Feb 22. I have two copies of Dragon Keeper by Robin Hobb and two copies of Kim Harrison's Black Magic Sanction available for giveaway here and here. Both end March 1. I also have an ARC of the terrific Warriors anthology edited by George R.R. Martin and Gardner Dozois to giveaway here (ends Feb 22). Next week (Wednesday) my special guest will be Mark Henry with zombalicious details on the Amanda Feral series and Battle of the Network Zombies in particular. Stayed tuned. Brains will be served. A nice list of the past weeks' author interviews at Literary Escapism. Nancy Holzner revealed the title to the sequel for Deadtown - it's Hellforged. Love the title! Truthseeker and Wayfinder (which was briefly called Worldbreaker*). This is a new series about Lara Jansen, a young woman who always knows if someone is telling her the truth–including when the new man in her life claims to be a prince of Faerie. Truthseeker is out in September 2010. I’ve just finished writing Wayfinder. Hooked on Heroines are: Maria Lima, author of Blood Lines series from Pocket/Juno Books; Linda Robertson, author of the Persephone Alcmedi series from Pocket/Juno books; myself, Laura Bickle, author of the Lantern series from Pocket/Juno; and my alter ego, Alayna Williams, author of the Delphic Oracle series from Pocket/Juno. We'll be blogging about books, writing, heroines, and anything that catches our eye. 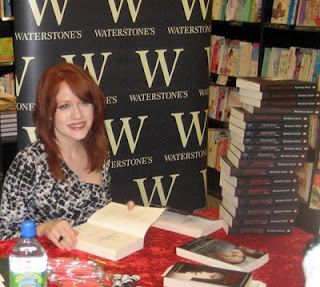 To start, Linda Robertson is blogging about Mythic Heroines. Please drop by and say hello! Kim Harrison talks about an enhanced ebook version of Black Magic Sanction that will contain videos, audio commentary, the full audio book narrated by Marguerite Gavin that can be synched and listened with or without the text, or the text can be read without the audio and more. Created for the Iphone and Itouch platforms check out the full story on Kim Harrison's blog. Congratulations to Jeaniene Frost whose First Drop of Crimson hit # 38 on the USA Today bestseller list, # 4 on the New York Times bestseller list, and # 4 on the Publishers Weekly bestseller list. Mad Hatter's Bookshelf & Book Review has the details on the Jim Butcher short story collection which will be called Side Jobs: Stories from the Dresden Files. Releases in November. 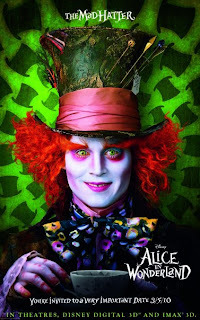 Penguin Group (Canada) has a contest to be on the guestlist for a special advance screening of Tim Burton's ALICE IN WONDERLAND? Courtesy of Walt Disney Studios Motion Pictures Canada, we've got double passes for special advance screenings in 7 cities (see dates and times below)! We will do a random draw of all entries and select winners for each city on... Tuesday, February 23 @ 12PM. HOW TO ENTER: Become a fan of the Penguin Group (Canada) Facebook page, then email us at info@penguin.ca with ALICE in the subject line, and tell us who wrote the book ALICE'S ADVENTURES IN WONDERLAND. Please also note your city of preference in the email. Deadline is Tuesday, February 23 @ 12PM. Winners will be notified on Tuesday February 23 after the draw ends, and will receive electronic passes via email by Friday February 26. Passes will need to be printed and presented at the screening. Winners names will also be added to the guestlist, and ID must be shown in conjunction with the electronic pass. Good luck! SF Scope has the details on the 36th Annual Saturn Awards. Here are the nominees in the big four categories. Who would you pick? The Lightning Thief reviewed by Jordan Summers and Tempting Persephone. The Wolfman reviewed by Mondo Vampire, Fang-tastic Books and Maurice Broaddus. 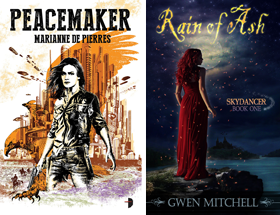 I didn't get much posting done this past week, so I'll lead off with the gallery of new covers released this past week. 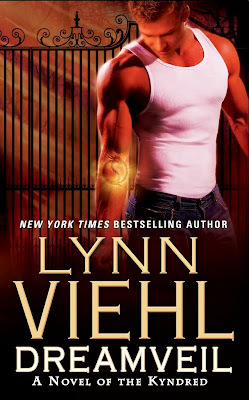 Lynn Viehl talks about cover art, comparing her own mokcup of the next Kyndred book with her own vision. An interesting post to check out. This cover posted by Kelley Gay on her blog. Made of awesome. Of course it is a Chris McGrath cover. 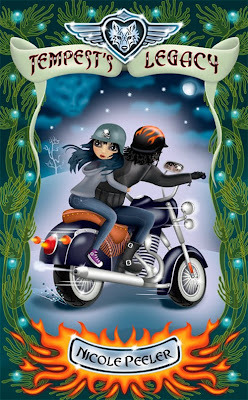 And another fabulous illustrated cover for Nicole Peeler. Kim Harrison presented some more graphic art from the Hollows comic book. Details on her blog. Holly Black shows off the UK cover for White Cat. Paranormal Romance has the latest news on Diana Gabaldon's projects. Awesome report Doug. You must sleep next to your computer! For all the news you need to know - SciFiGuy! :) Thanks! First, I'm really looking forward to your Mark Henry spot next week. I'll be back with bells on. Second, how could the Saturn Awards guys include The Book of Eli for best SciFi film, and leave off District 9?! Are they kidding me? I'm with Rebecca, District 9 was fantastic! 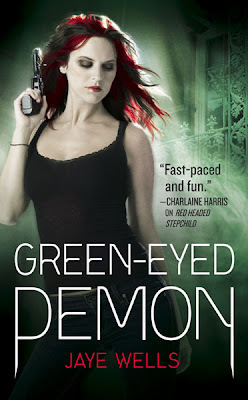 Am I the only one reading Wells book cover as Green-Eyed Pemon? Yeah, I know, that's picky, but what were they thinking? D's don't drop it like...that. 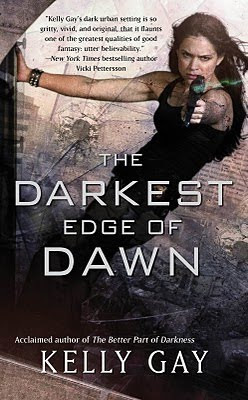 Kelly Gay's cover is flippin' awesome. That Verizon commercial is too funny. Sean I never kiss and tell. Chris I may use that line... although funny enough I always feel that I am missing some important stories..
Rebecca I am sure MArk will be his usual calm placid self (LOL). As for the Saturns I wonder if the rules apply only to American films which would explain it. Abigail Twilight is everywhere. I wonder if Meyers gets royalties on things like that. 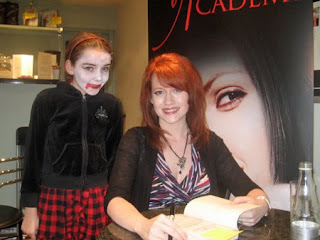 Thanks for the shout-out on HOOKED ON HEROINES! We're really excited about the new blog, and we hope that readers enjoy. Thanks Laura, I've added you folks to my Google Reader and will keep my eyes sharp for interesting news and posts. Thanks for posting that picture of me at TempleCon, Doug, it was a really fun Con and I met awesome fantasy and gaming folks. 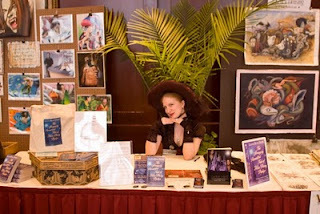 I'm excited because a lot of the same crowd will be at the Steampunk World's Fair in May (www.steampunkworldsfair.com), where I'll be reading from Strangely Beautiful, you should come to the con! Congrats to your country for putting on an awesome Olympics, I was rooting for your countrymen and women, your ice-dancing gold medalists were exquisite and Ms. Rochette's brave quest past grief to win bronze in the women's figure skating made me cry. Hi Leanna it's been quite a while since I've been to a con. They are great fun. Yeah I'm really proud of our performance at the Olympics. One of the best ever. I read somewhere this is the first time we have ever won gold as the host country. And Vancouver is such a beautifull city too.